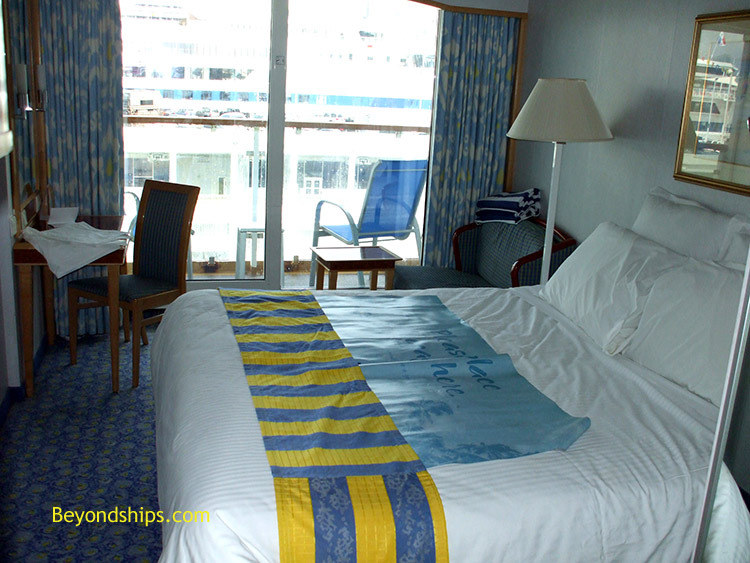 There are several categories of Balcony Staterooms. These vary chiefly by location. They have either two lower beds or a Queen-size bed, sitting areas, and floor to ceiling windows leading on to a private balcony. 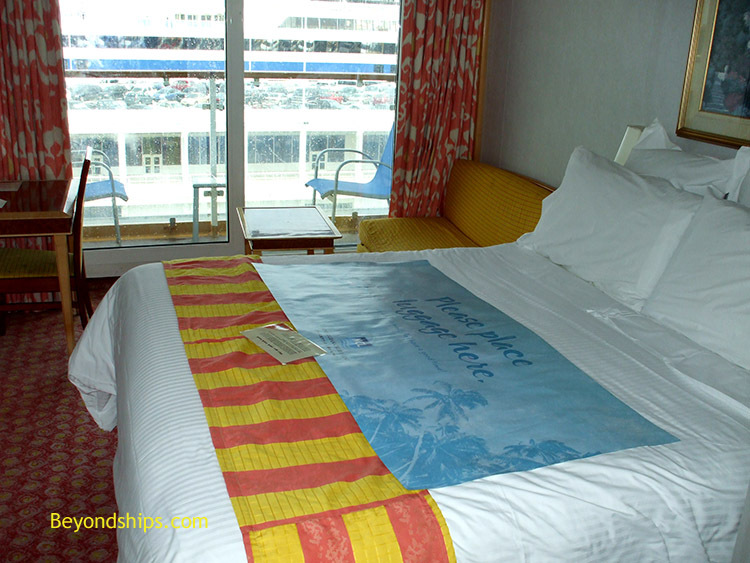 Above: A Balcony Stateroom (BA) on Deck 11. 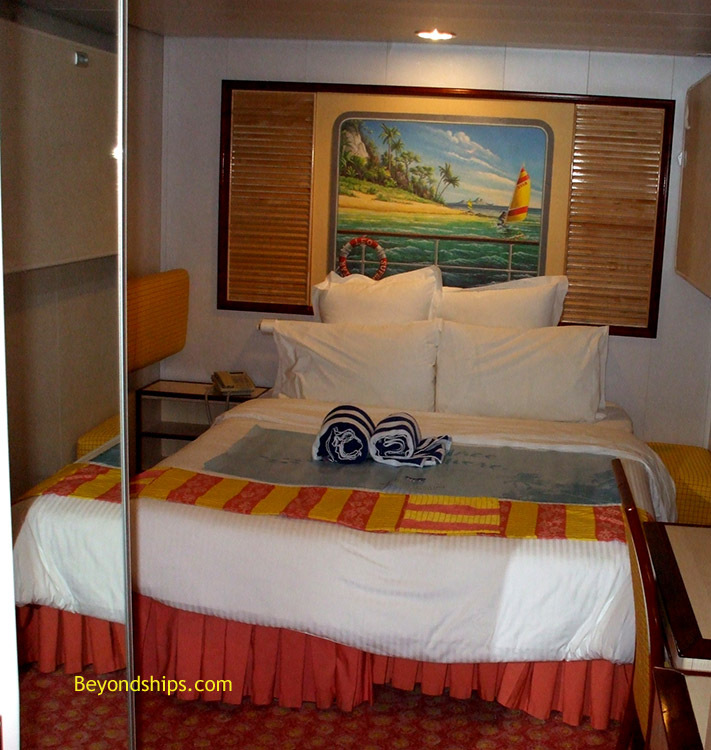 Below: A Balcony Stateroom (BC category) on Deck 10. 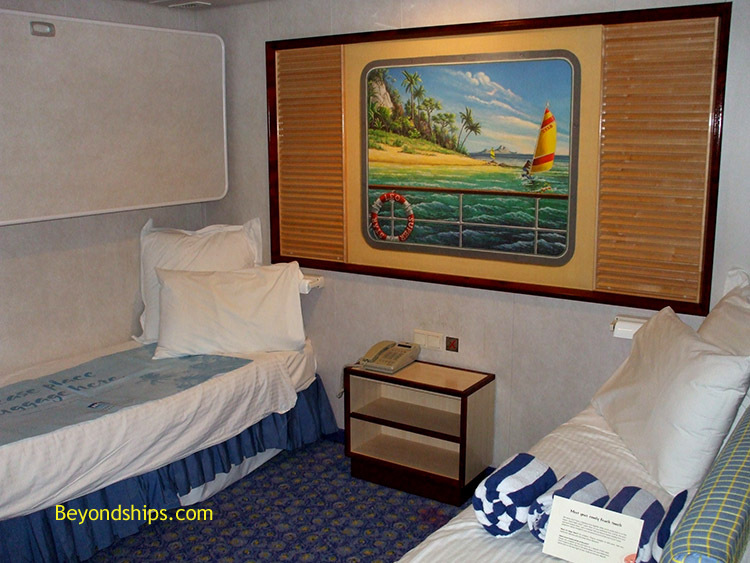 Ocean view cabins (not shown) have two lower beds and a window or porthole instead of a balcony.